Since the Canterbury earthquakes, we've developed resources from lessons learned as a result of the Recovery programme. PDFs of these publications are available for you to download. 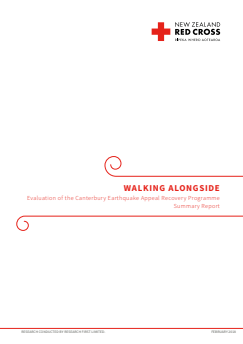 Evaluation of the Canterbury Earthquake Appeal and Recovery Programme. An independent evaluation of the New Zealand Red Cross Earthquake Recovery Programme for greater Christchurch was undertaken in 2017 by Research First Ltd. Download one of the series of publications summarising the findings, or the full technical report. A handbook for people who find themselves in leadership roles during a disaster. The authors interviewed more than 100 leaders working in response and recovery worldwide and captured their hard-won wisdom, practical strategies and tools in an easy-to-read format. After the 2010 and 2011 Canterbury Earthquakes, New Zealand Red Cross delivered a comprehensive Recovery programme which included cash and voucher based assistance for the most affected individuals and households. 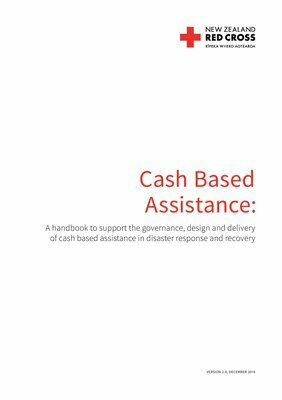 To help capture the institutional knowledge and prepare for future events a cash based assistance handbook was developed. 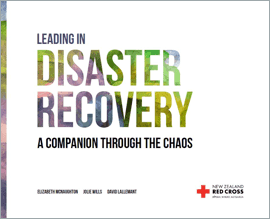 Targeting New Zealand Red Cross people, who may be called upon to deliver cash and voucher based assistance the original handbook has been revised to capture lessons from the November 2016 Earthquake and to reflect updated processes and procedures. 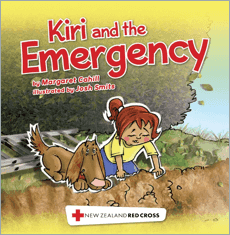 Kiri is a first aid resource aimed at children aged three to six years. It introduces first aid, builds children’s understanding about danger, and helps develop confidence and skills to act in an emergency. We provided 12,000 free copies to children throughout greater Christchurch. Available in English and Te Reo.